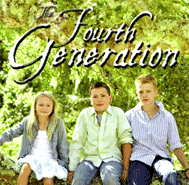 Click here to purchase The Fourth Generation online. Dating one of those dumb Iowa farmers was the last thing Sara, a free spirited city girl, would ever do----until she meets farm boy, Paul at a high school dance. After a long courtship, Paul finally pops the question. Just before the wedding an elderly neighbor presents Sara with a special nightgown that had belonged to his wife, advising her to only wear it on anniversary nights as his wife had done for so many years. Over the years the nightgown proves to possess nearly magical powers. After their marriage, Sara learns to help repair machines and drive tractors. She also learns to pray for strength when Paul is injured by an angry cow, when rain (or lack of it) threatens to take away their dream and when Paul’s father is killed in a tragic grain bin accident. But there are lots of good times---- playing in the rain with the children clad only in their pajamas, skinny dipping in the farm pond, and wild rides to the hospital to deliver babies. When Paul falls seriously ill, all the neighbors pitch in to bring in the harvest. 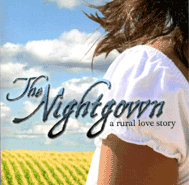 Through it all, the enchanted nightgown plays an important role in this tale of love between two people—until it is passed on to work its magic in the next generation of one endearing Iowa farm family. When you were a child, did you ever wish you had a secret place where no one would find you? 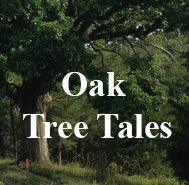 A place where you could run free and imagine cowboys, fairies, and leprechauns. A place where you could splash in a gently flowing creek, surrounded by acres of corn, soybeans, and pasture. Such was the idyllic realm of the Mass children, Ed, Tim and Jenny—the fourth generation to grow up on one special Iowa farm. Some of the stories in Fourth Generation are humorous and others are fraught with peril. Jenny, in particular, got herself into many scrapes—almost drowning after breaking through thin ice, nearly being crushed by a steer at the county fair, and falling into a watering tank. As the children grew older, their lives were filled with romance—and disappointments—but the sand dune that had played such an important role in their parents’ lives was always there, patiently waiting to offer solace or romantic adventure. These are the continuing stories of the Maas family—rural Iowans with a fierce determination to carry on their farm’s legacy. In continuation of a short series of stories, we find Sara Maas, the widow of Paul Maas, in the novel "The Nightgown" lonely and worried of what life holds for her future. She quickly finds out that many people need her. She fixes fences with her son's family and fills in for an injuured neighboring farm wife. Through her live in school teacher she returns to teaching and helping others. This new career is sandwiched in between taking care of her aging mother and mother-in-law. 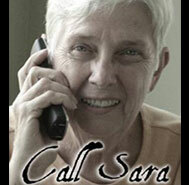 When anyone needs a helping hand or advice, they call Sara. 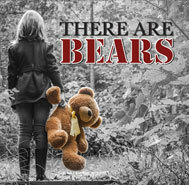 While being a teacher's helper, she and a student are kidnapped buy a frustrated father. She and her little partner survive terror of being captive,whippings by the captor, and spend several days locked in a steel grain bin. She meets Dan, a fellow teacher, and cannot decide if she loves him or not. He tries to become her best friend, but not for the reason of companionship, but for his gain. His photography excellence lures Sara on. The twist and turns of this psuedo-courtship lead Sara through an interesting period. But is he the one? You'll have to read the book to find out. Acme Pack appeared to be as any ordinary meat packing plant anywhere in Iowa, livestock entering in one end and meat products exiting the other. It wasn’t a large facility because it specialized in mature cattle which have outlived their productive usefulness. The essential plant was located just outside of the small city of Wapello, Iowa. The employees of Acme Pack were oblivious to the fact it served as a front for another business. Attached to the brick and steel building was an ancillary building, in which was a sinister business of call girls, prostitutes and human trafficking. The manager and owner of the illegal business had far reaching ties with many politicians, business men and law officers. She used her financial bribes and blackmail to control her clients. Unfortunately for her, Phil Robbins, a mild mannered small town reporter, wrote of the possibility of an auto – train accident actually being a homicide. He checks with his private detective friend, Ron Puck, who agrees. Ron investigates and finds there is more involved than just an accident. 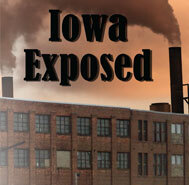 The Department of Criminal Investigation of Iowa is brought in on the case. Two of their crack agents, Bobbi and Dan Dorman, uncover not only graft and bribes, but human trafficking, and a very crooked sheriff’s department. The agents are kidnapped during their investigation and are tortured. Miraculously, they survived the ordeal. In the end, the mystery of Acme Packing Plant is solved. This adventure twists and turns as much as the Mississippi River on the eastern Iowa border. When Bobbi returned to her quiet home town of Maquoketa, Iowa with her husband, Dan, she wanted to carry out her childhood dreams of becoming farmer. She didn’t realize her former high school boyfriend, Todd, was still in love with her. Todd was the most eligible bachelor in town and a handsome one at that. Because of their financial situation Dan had to find a job away from the farm. Bobbi was home alone most of the time. The farm needed supplies to operate and the local co-op provided those supplies. Some stories can be told in a few words, others take more. This a collage of true stories and tall tales I have been storing in my head for several years. I decided to write these tales down before they were lost in the corners of my mind. The first five are true accounts while the last six are fictional.